India’s retail inflation grew 5 percent in June, a five-month high, from May’s 4.87 percent on the back of rising fuel prices, data released by statistics office showed. Retail inflation, measured by Consumer Price Index (CPI), had fallen to 1.46 percent in June 2017. CPI is the main price gauge that the Reserve Bank of India (RBI) tracks. June’s data is an indication that inflation is inching towards the apex bank’s upper tolerance level of 6 percent. Consumer food price inflation, a metric to gauge changes in monthly kitchen costs, growth slowed to 2.91 percent in June from 3.10 percent in May, but still increased from (-)2.12 percent in June 2017. In a separate release, data showed that India’s industrial production grew 3.2 percent in May as compared with 4.9 percent jump in April. “Although the CPI inflation rose to 5 percent in June 2018, led by fuel and light, miscellaneous items, and clothing and footwear, it nevertheless came in well below market expectations of 5.3 percent, offering some relief in terms of the immediate outlook for the inflation trajectory and bond yields," Aditi Nayar, Principal economist at ICRA said in a note. Factoring in this uptick in inflation, the monetary policy committee raised the central bank's benchmark repo rate by 25 basis points to 6.25 percent. 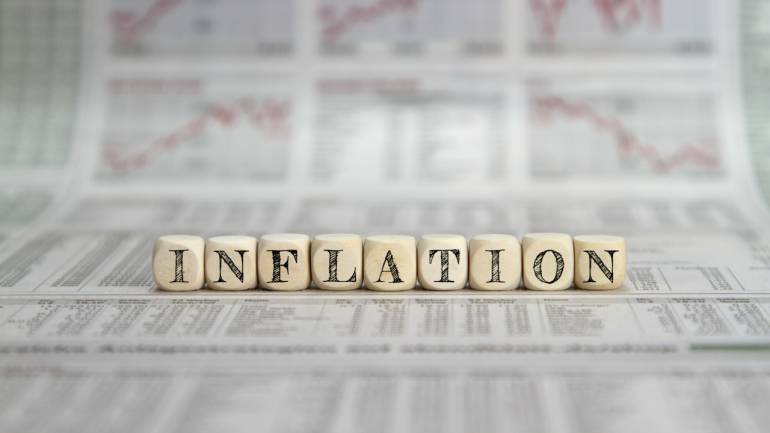 Inflation for the month of June keeps the chances alive of a further rate hike in the month August, according to economists. The RBI governor headed Monetary Policy Committee will be meeting later this month to review interest rate regime. The MPC may increase the repo rate by another 25-50 bps in FY19, depending on the extent to which various inflationary and fiscal risks materialise, ICRA's note said. Fuel inflation grew at 7.14 percent in June from 5.80 percent in May. Prices of vegetables grew 7.8 percent in June, as compared with 8.04 percent in April, while fruits’ prices rose 10.13 percent in June from 12.33 percent a month ago. Pulses continued to witness deflation and contracted (-) 10.87 percent in June from (-) 11.57 percent a month ago. Similarly, sugar prices fell (-) 7.11 percent in June from (-) 8.12 percent in May as price of the sweetener crashed across states, owing to a surge in domestic production due to a bumper harvest. Fuel inflation grew at 7.14 percent in June from 5.80 percent in May. Transportation and communication costs grew 6.18 percent in June from 5.31 percent a month ago, mainly due to higher petrol, diesel prices. Similarly, clothing and footwear inflation was 5.67 percent in June marginally higher than 5.47 percent in May.